GH3EQ-1221 | Size: 200 ml / 6.8 fl. oz. Restores the natural balance of dry skin and increases the cutaneous tolerance of sensitive one. A blend of natural oils (Avocado, Squalane, Shea Butter) offers mature complexions an ideal level of nutrition and hydration. It helps rebuilding the outer layer of the skin, optimizes its hydro-lipid barrier and restores skin’s elasticity. 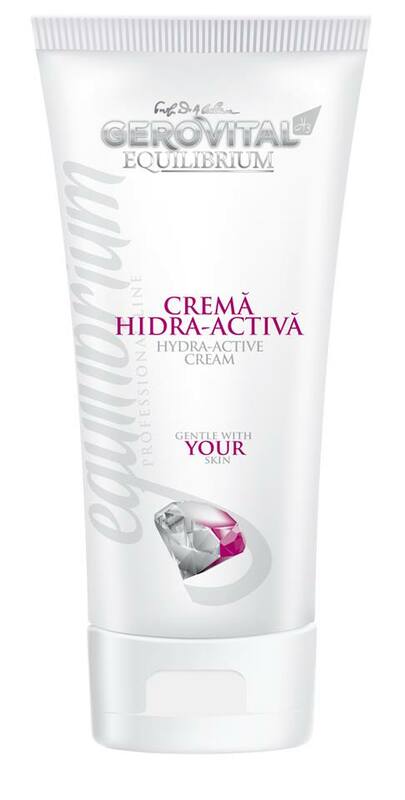 Ceramidyl Omega, rich in Poly Unsaturated Fatty Acids (Omega 3, 6, 9) and glycol-ceramides is an ideal active compound for dry and sensitive complexions. Improves the skin’s barrier function reducing the Trans Epidermal Water Loss (TEWL), replaces the epidermal lipids making skin less permeable to external aggressive factors, softens skin and prevents excessive desquamation. Sepilift DPHP, an anti-aging peptide, protects and reinforces skin structure, having a triple firming action: it stimulates remodeling and contraction of collagen fibers, protects elastic fibers against enzymatic breakdown and scavenges free radicals. Aquaxyl, a derivative of two plant sugars, prevents dehydration and optimizes the circulation of moisture throughout all skin layers. Usage: Apply to clean face, neck and décolletage morning and evening or as part of your cosmetic treatment. Use circular, upward and outward movements. INGREDIENTS: AQUA, UREA, SQUALANE, CAPRYLIC / CAPRIC TRIGLYCERIDE, GLYCERIN, CETEARYL ALCOHOL, CETEARYL GLUCOSIDE, PERSEA GRATISSIMA OIL, XYLITYLGLUCOSIDE, ANHYDROXYLITOL, XYLITOL, HYDROXYETHYL ACRYLATE/SODIUM ACRYLOYLDIMETHYL TAURATE COPOLYMER, SORBITAN ISOSTEARATE, POLYSORBATE 60, DIPALMITOYL HYDROXYPROLINE, BUTYROSPERMUM PARKII BUTTER, PLUKENETIA VOLUBILIS SEED OIL, GLYCOSPHINGOLIPIDS, POLYGLYCERYL-5 OLEATE, PHOSPHOLIPIDS, TOCOPHEROL, HYDROGENATED PALM GLYCERIDES CITRATE, CHOLESTEROL, PHENOXYETHANOL, ETHYLHEXYLGLYCERIN, GLYCERYL STEARATE, TOCOPHERYL ACETATE, PARFUM, TETRASODIUM EDTA, SODIUM HYDROXIDE, BHA.